» AmeriNZ 334 – Still more change AmeriNZ Podcast: One guy, two countries. Change is continuing in the New Zealand election campaign, so much so that I could almost do a daily podcast on it and not run out of material. A lot has changed since my last podcast episode, and I mainly talk about that today. This episode has 98% less talk about the details of political polls! 3 users commented in " AmeriNZ 334 – Still more change "
Usually I can follow your Kiwi election process, but your last few blog posts had me scratching my head a bit. And hearing explained on the podcast helped more than a little. My apologies for the delay on my comment on your latest 3 podcasts. I enjoyed listening and I think the Labor party in NZ is going through the same thing the Democratic Party is going through in the US. Both parties need to get a clear messages of Hope and Change like President Obama did in 2008 to energize the base. I get so frustrated at the Democratic Leaders for not taking Obama’s lead in elections. And I fear that they will sit back and hope that anti-Trump sentiments will give them the House and Senate without going out and campaigning on the change the US needs. I really enjoyed listening and hope you are doing well. Hi guys, SO sorry for not replying sooner! The truth is, I forget to check for comments. Oops! In the current episode (335), I said not many people comment, and then name-checked the two of you as exceptions. So, there’s that. 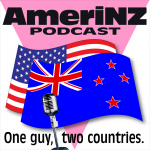 Roger: When I talk about NZ politics on the podcast, I try to keep it clear, but it’s not easy and I do sometimes forget that people may not know what I’m talking about. Even so, I find it MUCH easier to talk about it on the podcast rather than in writing, because on the blog I feel I have to assume a lot of knowledge or the post would become way too long. It’s a conundrum! We’ll see how I do explaining the election results next week! Tim: Thanks! You probably won’t be surprised to hear that there have been commentators here in New Zealand that have made similar observations, and that’s without even using the USA comparison (which would probably be lost on a lot of Kiwis, anyway—except for politics nerds like me, of course! ).